Josephine Martino Brewer passed away on Wednesday July 4, 2018 in Niagara Hospice House. 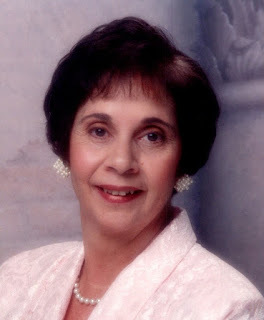 Born in Lockport on May 16, 1941, she was the daughter of the late Attilio and Mary DiCarlo Martino. Josephine attended Roberts School of Beauty Culture & Cosmetology and received a Certificate of Honor in Advance Hairstyling Techniques, and became a licensed in Hairdressing and Cosmetology. She was a member of Trinity Lutheran Church in Lockport where she was a member of the Ladies Aid. Josephine stayed home to raise her children and babysat many other children and touched the hearts of all the families she took care of. She enjoyed cooking, coloring, gardening and especially enjoyed being around children. Josephine was the loving wife of 57 years to Leslie E. Brewer, whom she married April 13, 1961. Mother of Leslie J. (Theresa) Brewer, Richard J. (Virginia Koelle) Brewer and Deborah J. Brewer. Josephine was the doting grandmother and always said, “I have one of each,” to Miranda J. (Shawn Master) Smeal and the late Steven J. Brewer. She was the sister of Constance (late Robert) Verity, and the late Dr. Charles Martino, Jessie (late Joe) Salmeri, Rose Marie (late Will) Johnson, Theresa (late John) Terranova and Mary Ann Drew and the sister in law of the late Lois (late Chris) Cassenti. She is also survived by several nieces and nephews. Friends may call on Friday July 6th 4-8 PM in Prudden and Kandt Funeral Home, 242 Genesee Street, Lockport. A Funeral Service will be held on Saturday July 7th at 10 AM in Trinity Lutheran Church, 67 Saxton Street, Lockport. Interment will be in Cold Spring Cemetery. Memorials to Niagara Hospice would be appreciated by the family.